Mustang Money Ainsworth Slots Game: Take a FREE Pokies Spin Here. Mustang Money is an online slot game from Ainsworth Gaming Technology. The game has actual flaming horses on the reels. Immediately you launch the slot game, you will see colorful images of a dollar sign shining, dawn in prairie, burning golden bars, a flying eagle, silhouettes of cactuses in a sunset and some simple card signs. Wild (a fire mustang) that is presented at the third, fourth and fifth reels in the basic rounds. Scatter (a logo) that is paid independently of its location on the screen. Coin(golden coin) appearing at the second and fourth reels during the free spins. It coin replaces other symbols like the Wild, except of the the mustang and the logo. The game has very good user interface with the following functions of different elements on the control panel. Bet. 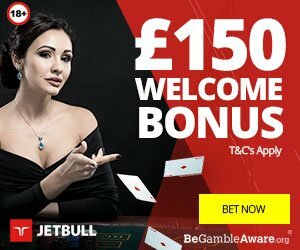 This is used for selecting the bet amount per line. Lines. Picks the active lines. Spin/Stop. Starts or stops a new spin. Cash. Shows a state of the balance. Total Bet. Shows the total bet amount per spin. Win. Shows the amount won in a spin. Auto. It’s the automatic game mode. It is possible to stop the spinning reels in advance. 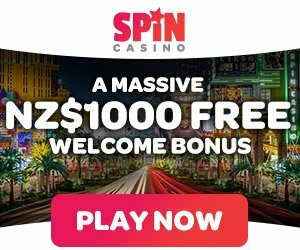 Mustang Money zips along smoothly enough and it’s graphics are certainly of a decent quality: I found it relatively very easy to trigger the free spins which is usually a good thing. The animation, graphics and sound are very good offering the ultimate horse riding to online slot game fans. The stacked images, symbols and wilds gives you a lot of ways to boost your bankroll. The slot game has a theoretical RTP of 96.38% but that depends on the version you are playing (there may be many). 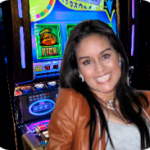 The slot game has one hundred active lines whereby paid combinations are formed at. Usually, only the most valuable combination at each of the paylines wins. You can use some or all the active lines. The bets per each of the lines are at all times equal. The bet per line range from one to seventy five cents per each of them and up to seventy five euro per spin. The free spin games are always triggered by simply finding three or more of the scatter symbols anywhere across the slot game’s five reels. When you find, a few things will change from the base game. The flaming wild symbol will now only appear on the reel 3, but do not worry as on reels 2 and 4 there is the new golden coin symbol which will comes with up to x5 multipliers. In fact, if it appears on the reel 2, it will give you either x1 or x2 multipliers and on reel 4 either x1 or x5 multiplier. If you get a x2 and a x5 multiplier, you can get up to 10x multiplier on a win and also if you manage to get 3 or more of the scatter symbols, you will trigger 5 additional reel spins for even more chances of winning big. A payoff amount is calculated by use of two values; the index of the formed combination in the range of x5 to x1000 and the bet per line. The parameters are then multiplied. In the case where several combinations are formed at different paylines results of a similar round, all the wins are summarized. 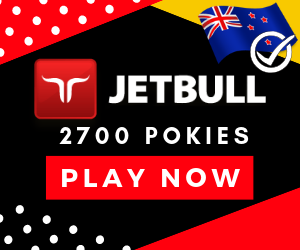 If you are a great fan of wild nature and horses, I highly recommend you to try your luck with the Mustang Money online pokies game by Ainsworth. We rate it a solid 8 from 10 points in our review.